Custom made, quality sports uniforms your team can be proud of. 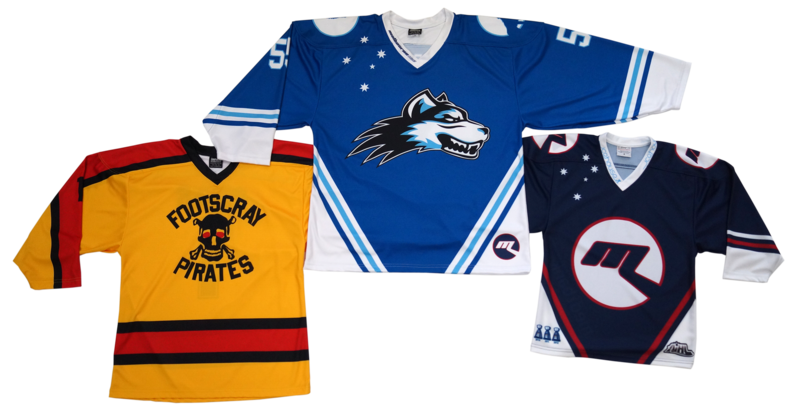 Impact Sports Promotions manufactures and designs Australian made Ice Hockey jerseys and hockey uniforms. With a variety of designs and styles to choose from, your club or team can invest in high quality Ice Hockey jerseys or hockey uniforms. 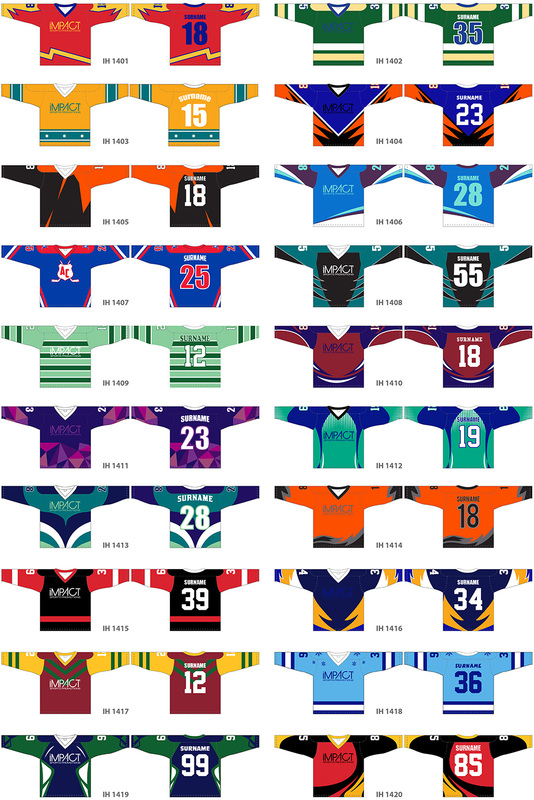 We have a range of colours and styles available to choose from below, or we can help you with a custom design that truly suits your club or team. Call us on 03 9879 4111 or Email us and we will be happy to assist. MyShop B2B by Kobe Creations.